Of all the wealth of Africa, its music is easily the most radiant and renewable. if you listen to some music from the Carribean, you can almost hear the echoes of different parts of Africa from which slaves were transported. 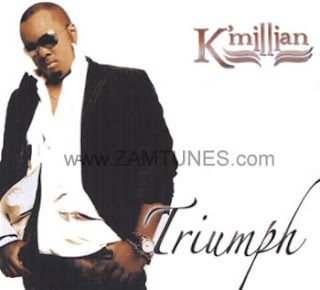 One of my favourite African singers is from Zambia. His name is Leo Moyo and performs under the name K'Millian. He sings mostly in Bemba, Nyanja and English, sometimes mixing the three. Although his music is classified as hip hop, I find the classification to be a bit innacurate. It would be hard to pigeonhole into a single genre. There have been efforts in America to promote life affirming and enobling music that is not degrading to women or inciting violence. Although I do not understand his songs in African languages, "Pa Ulendo" is described as "a song praising a woman for her prayers and thoughts as he makes a journey to see her." Another very stirring song deals with an abanoned woman who is pregnant. i totally agree K'millian is an uplifting Zambian musician and it would be an honor to watch live perform in Atlanta next sat feb 27th this year.. He was in Seattle on 19th march.I was at door collecting the cover fee and selling his CD's new album and yet never new who he was , never listened to his music before but I was very impressed by his music. His CD will playing in my car, house and office till further notice. I don't understand the language but Chitekela muli ine AND Lesafye umwine are one of my favorites. I wish I new what they mean.